DOTMARK High Resolution Ink Jet Printers are self-contained standalone bolt-on Printers designed to print high resolution fixed and variable copy Text, 1D & 2D Bar Codes, Logos, etc. onto porous and non-porous products. They are simple, efficient, compact and affordable alternatives to much more complicated & expensive C.I.J. Ink Jet Printers. Touch-Screen Controller, Product Detector, Cabling and a Conveyor Mounting Bracket. Printing is done using a disposable 600 dpi Print Head/Ink Cartridge assembly eliminating any need for purging, mixing, pouring of make-up/solvent solutions or daily cleaning. 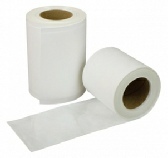 Tyvek rollstock, foil laminate rollstock, Mylar rollstock, paper coated foil stock can be printed with this equipment.